PlayStation RPG due out this Thursday, September 15 in Japan. 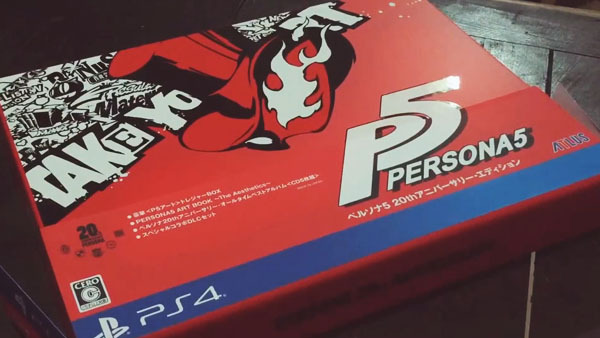 An early unboxing of the Persona 5 20th Anniversary Edition has appeared on YouTube ahead of the game’s release in Japan on September 15. As previously announced, the 20th Anniversary Edition includes a copy of Persona 5, a Persona 5 art book, a five-disc Persona 20th Anniversary All-Time Best Album, three sets of special collaboration downloadable content, and a special Persona 5 art treasure box to house it all. Persona 5 is due out in North America and Europe on February 14. Watch the unboxing video below.